My Niece, Hannah Jones, Graduated! 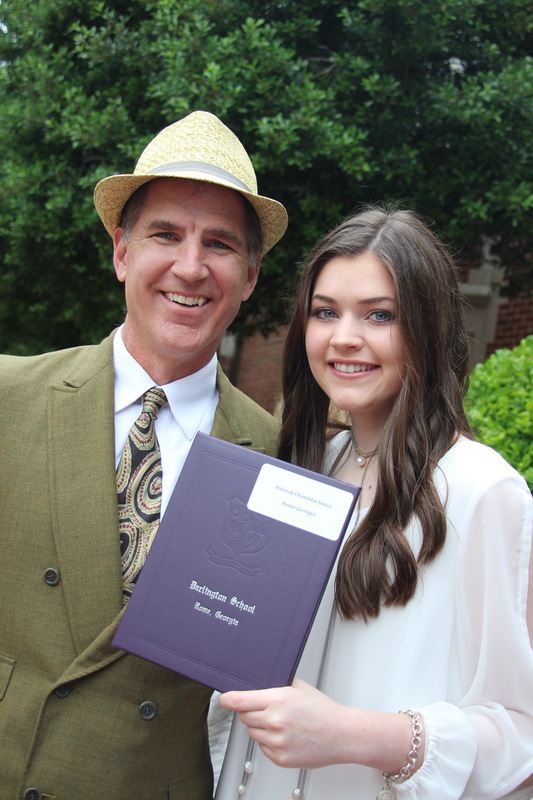 It was so exciting to be apart of Hannah’s graduation from Darlington School. 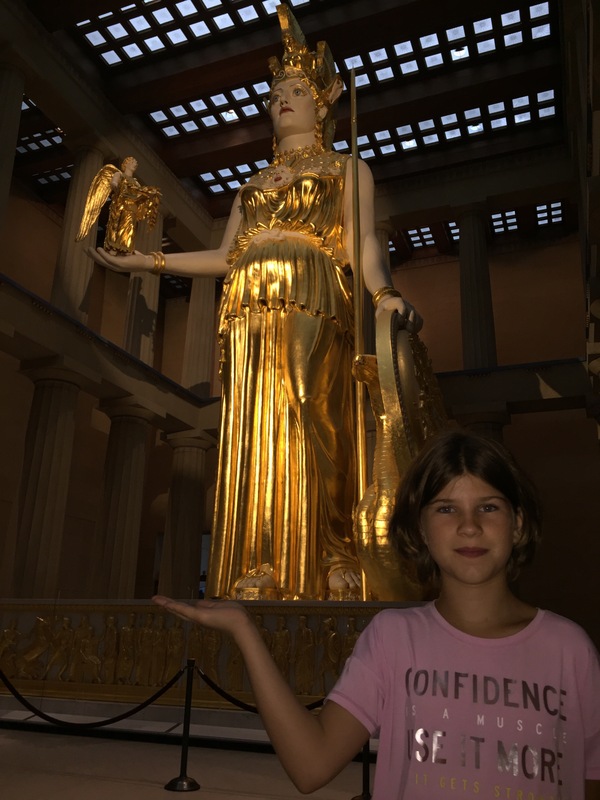 Katie Beth has been having a blast at Panoply. The various STEAM tents and their associated activities have been a lot of fun for her. The artist venders have been beautiful to see. 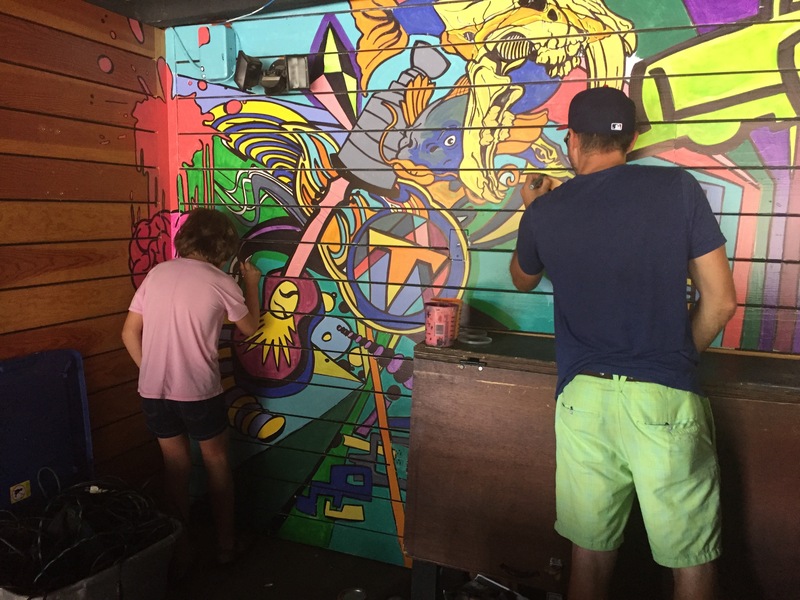 But, Katie Beth’s passion has been her chalk art. 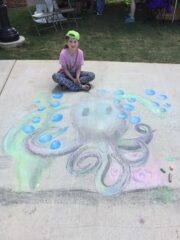 She started late last night as our day at Panoply was winding down. 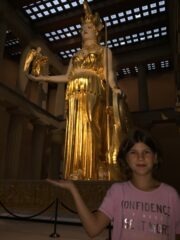 When we arrived this morning, she wanted to go directly to the art to check on it. After seeing it, she went back to drawing. She loved blending the colors and her clothes, face, and hands showed it. People would stop to watch her draw for a while and ask her questions. Some would even take photos of the chalk art. She sure loves to draw. 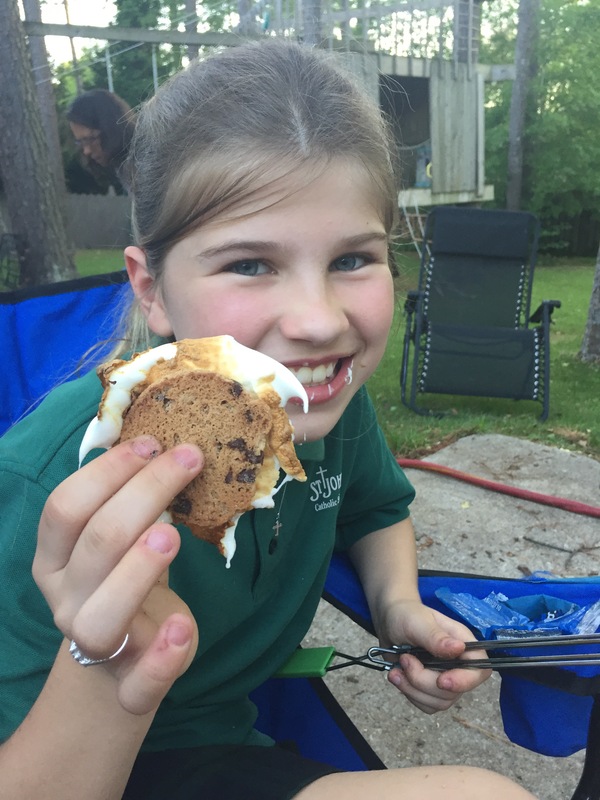 Life is good with a campfire and even better with Chocolate Chip S’mores. We had a wonderful relaxing evening on the driveway in front of our fire pit. Today’s activities started with a big delay as Karen couldn’t find her phone and it wasn’t responding to Apple’s “Find My Phone” or to her Apple Watch’s search capabilities. Karen was sure the battery must have died. We searched for hours. After tearing the cabin apart, we finally found the phone. Karen was so relieved. We decided to head out to hike Dukes Creek Falls Trail near Blairsville, Georgia and to visit Helen, Georgia that we have heard so much about from Hope. The drive was beautiful through the mountains of Georgia. Along the way, we stopped at various overlooks. The picture above is from one of those overlooks. In Blairsville, we spotted a thrift store, had to stop, and we scored a few items. Dukes Creek Falls is a beautiful cascade of 150 feet. The trail itself is about 2.3 miles round trip. 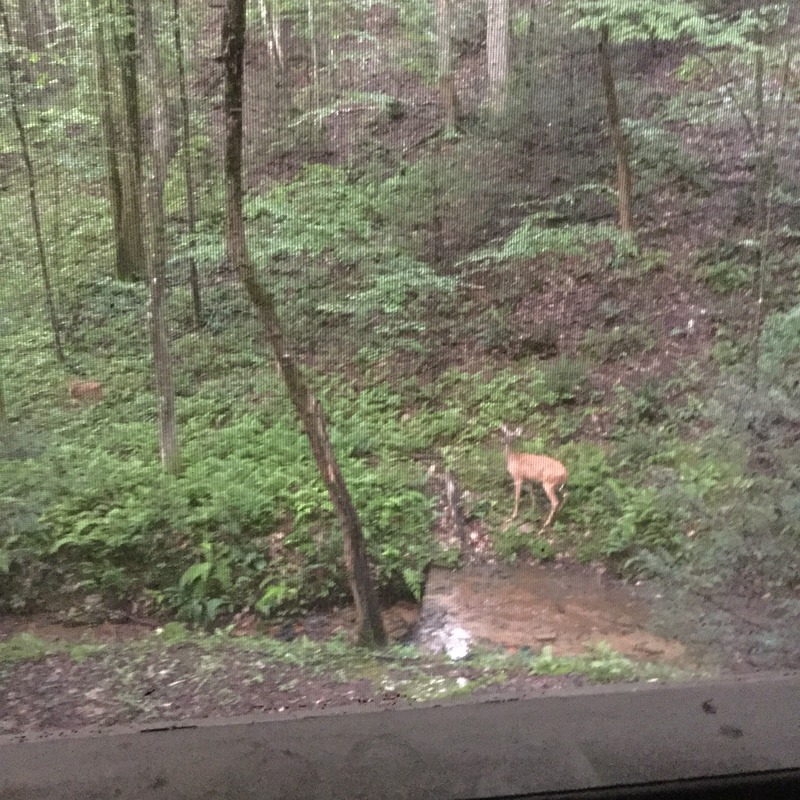 Along the trail, you have beautiful views of Duke Creek. The actual falls are on Davis Creek, which join Duke Creek at the base of the falls. 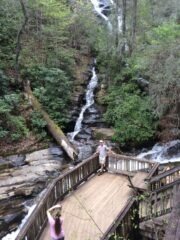 We saw trout fishermen and lots of cascades in Duke Creek. Karen wished we had had time to hike the Raven Cliff Falls Trail, but the round trip distance of 5 to 6 miles was too much. The falls cuts through a rock at the top of a cliff. We arrived in Helen very hungry so we drove around town looking for a place to eat and learned that parking is a big deal in Helen as there are parking lots every where with high fees. The town is a tourist destination, but we arrived in the off-season so the place was empty. Most of the town is decorated as a little German Village. 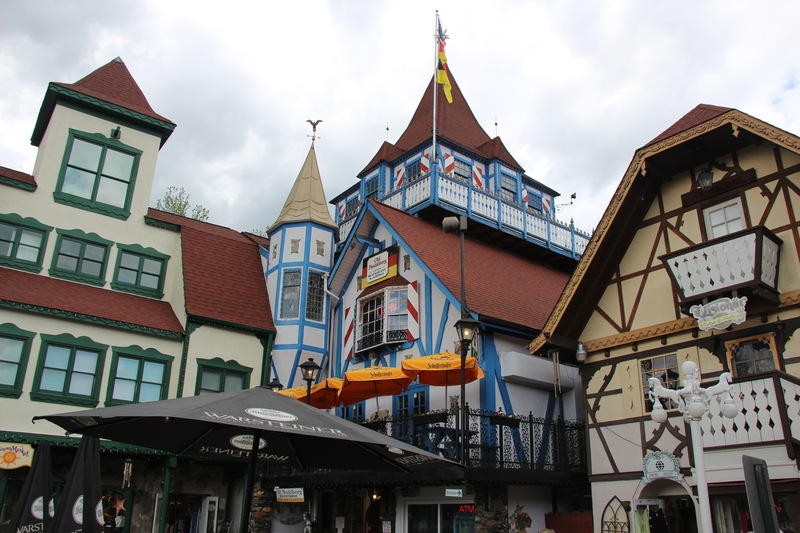 Many of the residents are of a German heritage and a great many speak with a German accent. 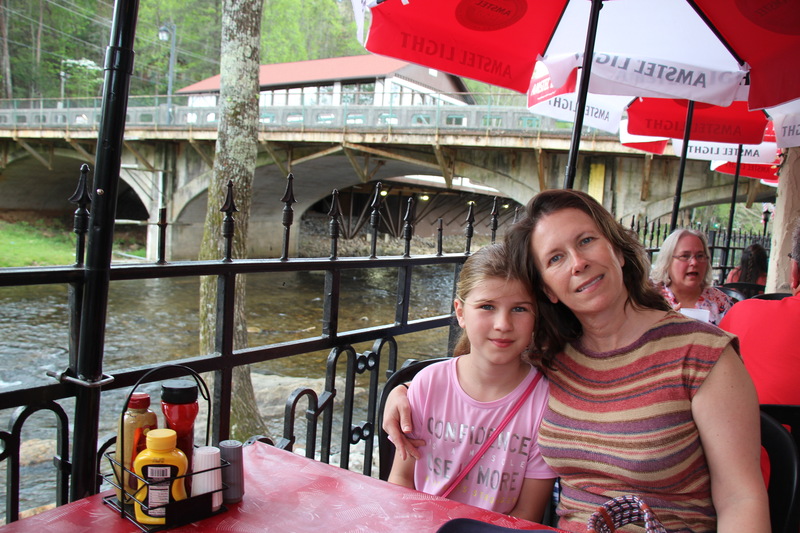 Karen wanted fish for our late lunch so we decided on The Troll Tavern & Restaurant, which is under the bridge on the Chattahoochee River. The food was very good and Katie Beth loved playing in the river on the rocks. We could have sat along the river for hours. The weather was wonderful with mild temperatures and a nice breeze. Katie Beth had children to play with on the rocks. We even had a parent compliment Katie Beth on how nice she was with their child. Many places were closed, which could have been do to the season or that is was a Monday. But, we did find Zu Zu’s Petals Rock Shop. Karen and Katie Beth enjoyed exploring the store. 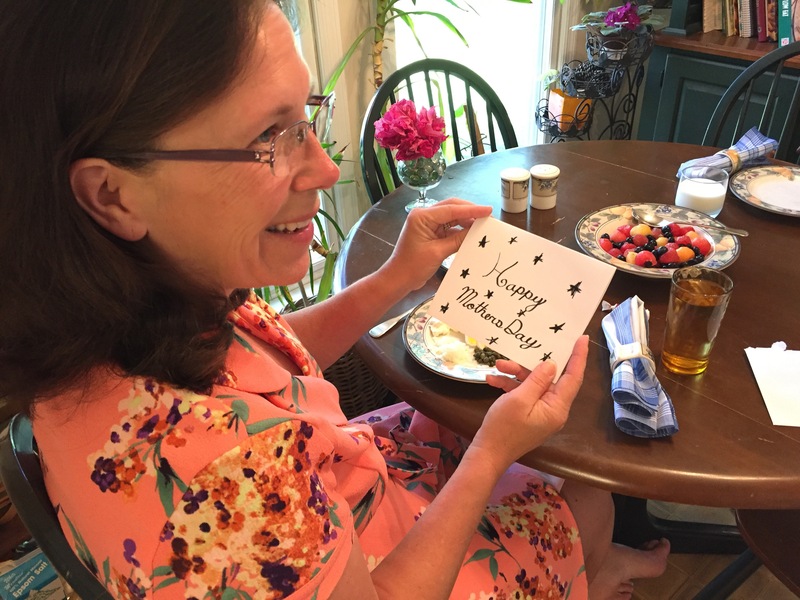 The owner let Karen have some free single crystal Staurolite samples. Karen is wanting to find in the wild the double crystal form of Staurolite, which is in the form of a cross. As the day came to a close, we needed to head back toward our cabin for dinner and to be packed for tomorrow’s trip home. You can view all the photos here. Remember , username and password are “Friends” and “Photos”. 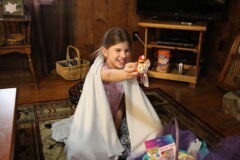 Katie Beth enjoyed her Easter Basket and searching for Easter Eggs. 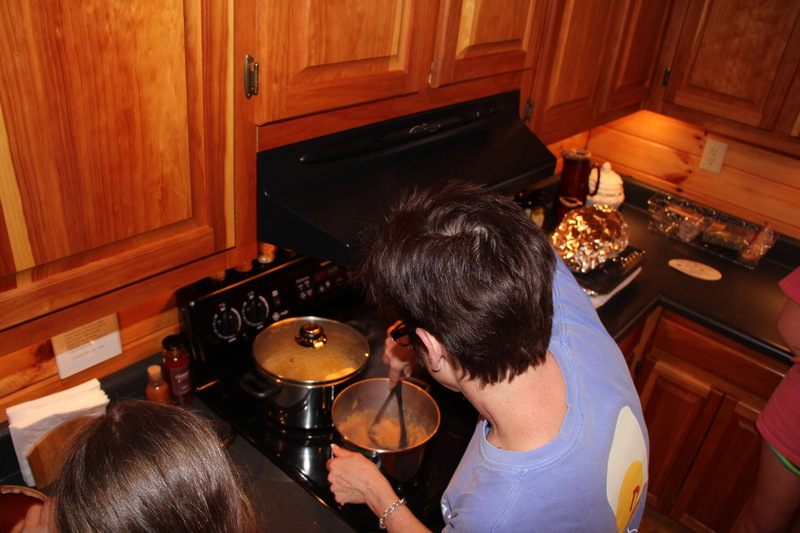 We believe that we left some unfound Easter Eggs in the cabin for sure. St. Anthony Catholic Church had a very enjoyable mass this morning and hosted a wonderful Easter Egg Hunt for all the children especially given the small size of the church community. They even provided baskets for everyone. 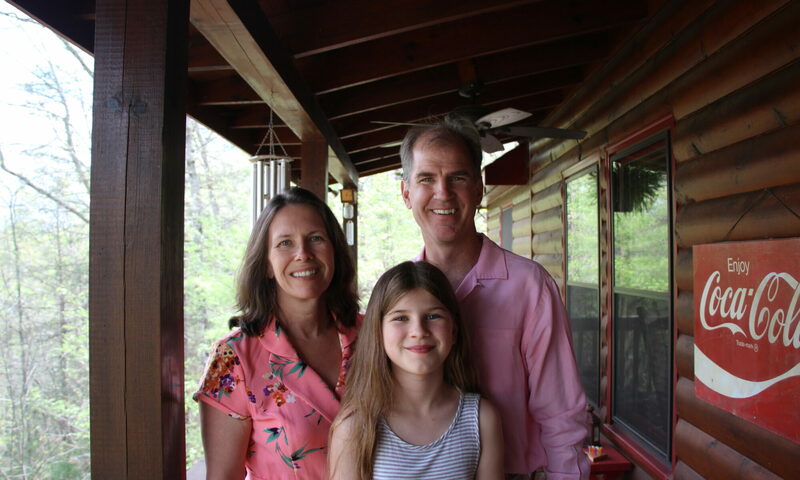 After mass and the Easter Egg Hunt, we joined Hope at her cabin for lunch before they headed back to their home. 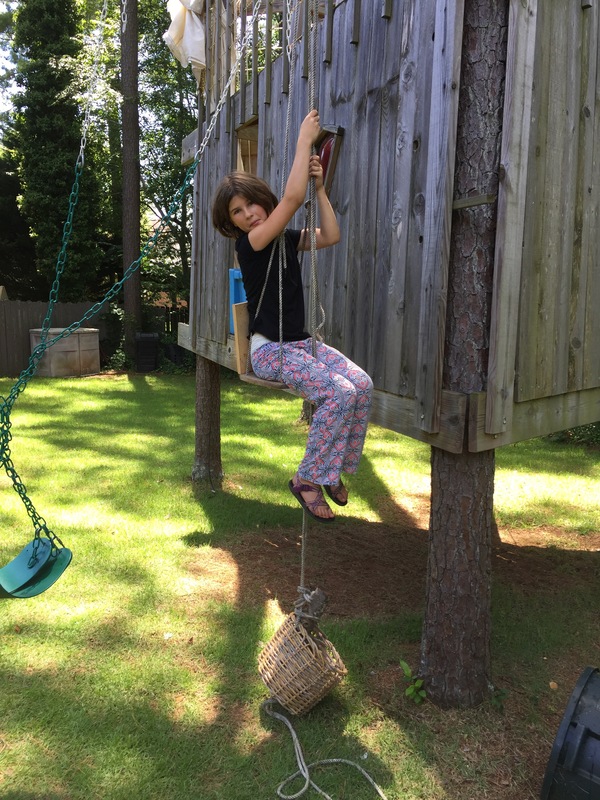 The children re-hid the Easter eggs outside to play some more while the adults chatted inside. After saying our goodbyes, we headed back to our cabin. For dinner, we had baked rabbit. We thought the idea of rabbit on Easter would be kind of funny. It tasted very good, but Katie Beth didn’t enjoy us calling it the Easter Bunny. 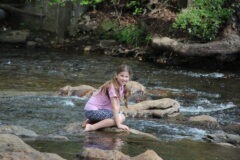 As the evening wound down, we played in the creek and thought about what we would do tomorrow for our last day. We began to wonder why we were heading back so we decided to stay an extra day! Katie Beth was excited. You can see more photos from today here. Remember, the username and password are “Friends” and “Photos”. We all had a slow start this morning. After a late breakfast, we relaxed on the balcony. 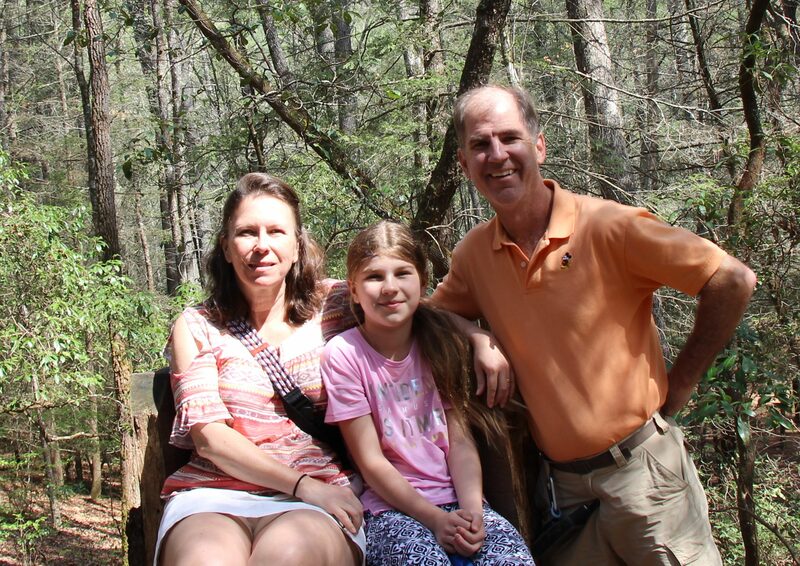 We decided to drive over to the swinging bridge for a small hike and the view of the Toccoa river. The drive to the bridge is beautiful. We took the more eastern route, which provides views of the mountains, hills, and old farms. The western route follows the Toccoa river more closely. The trail is nice and easy, but the last 3 miles of gravel road requires a vehicle with high clearance and it will beat you up driving it. 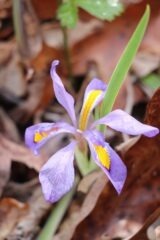 The flower is a Dwarf Violet Iris that was found along the trail. 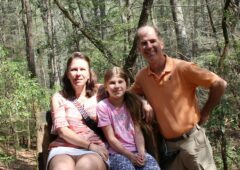 We stopped at the fallen tree chair for a quick family photo. On our hike, we saw a huge fallen tree giving Karen a chance to search for special rocks. While heading back to our car and crossing the bridge, we spotted a Cottonmouth snake swimming across the Toccoa River. The current didn’t even phase the snake as it swam across. 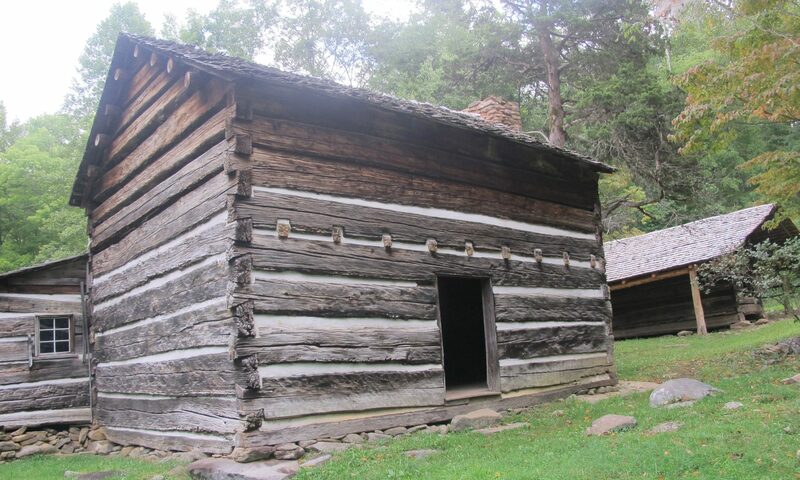 Afterwards, we headed over to Hope’s cabin to visit before dinner. Charlie and Katie Beth put on swimsuits so they could play in the Toccoa River on the rocks. 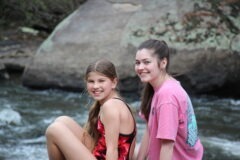 Charlie tried to get Katie Beth to jump into the water off of the rocks, but she wouldn’t have it. Eventually, Katie Beth felt comfortable and waded into the water. 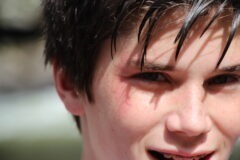 At one point, poor Charlie slipped and hit his face on a rock. He said it hurt pretty good and it left a good mark. 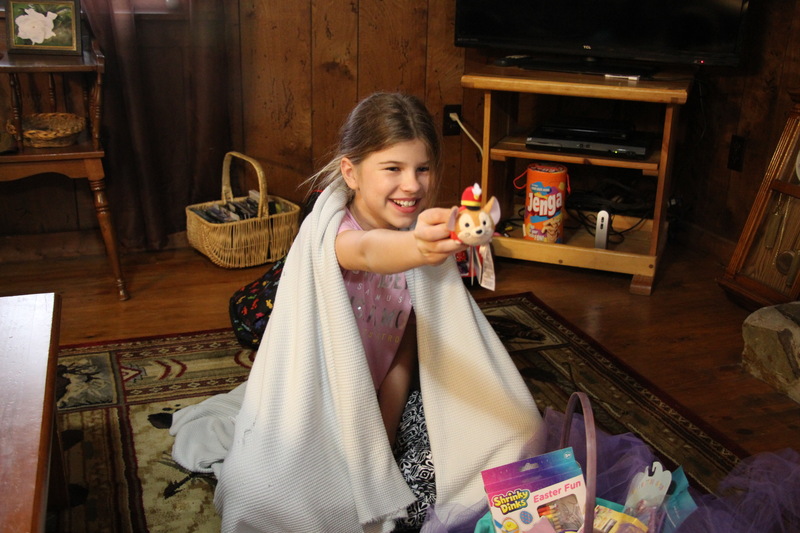 It was time to head back for Hope’s Easter dinner and an Easter Egg Hunt at Hope’s cabin. 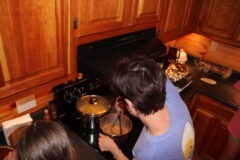 Dinner was about ready, but needed more time. Karen, Hope, and I headed out to hide the Easter Eggs. 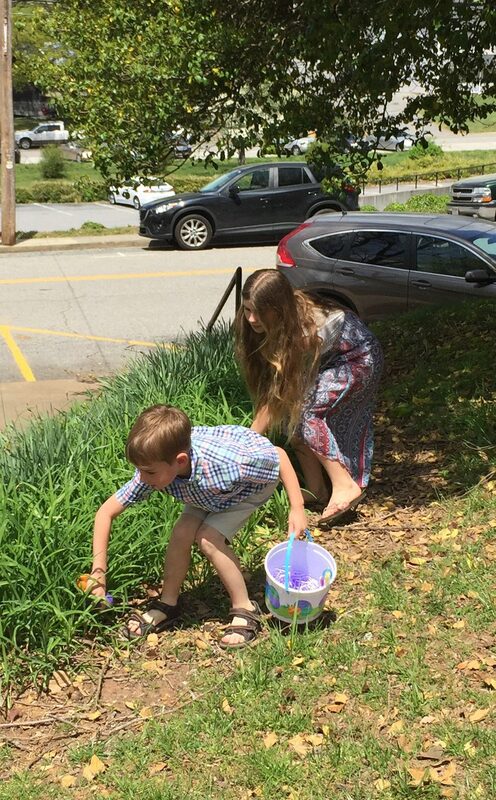 The children enjoyed searching for the eggs, but Hannah may be getting too old to see the fun. After the hunt and very enjoyable dinner, we sat around their fire pit and roasted marshmallows and popped corn. You can see more of today’s photos here. Remember, the username and password are “Friends” and “Photos”.